There are so many wonderful stories out there of people who are making a difference in the community. Rabbi Eckstein was one of them. The day after I got the opportunity to spend an hour with this amazing man, he sadly died. He has left a big hole in the organisation and people's lives. As a Christian it was wonderful to hear how a Jew was reaching out with the hand of friendship to the Christian community. We need more Rabbi Eckstein's in the world. May his memory be blessed and this interview be a testimony to his wonderful work. 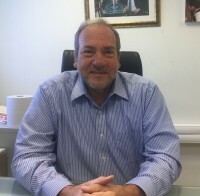 Paul: Rabbi Eckstein what is the International Fellowship of Christians and Jews? The International Fellowship of Christians and Jews is an organisation that I started some 36 years ago. The purpose then and today is to build bridges of healing, understanding and co-operation between Christians and Jews. The emphasis being on what they sometimes call bible believing Christians, evangelicals, Pentecostals, fundamentalists. As well as those who didn't have access to the dialogue of the 1960's and 70's with the Catholic Church and with the mainline protestants. So over the years our task has grown as has our organisation. We started from nothing, as I worked out of on an office cloakroom. People said I was crazy; "You're going to try and change 2000 years of history. Of Christian antipathy and animosity towards Jews. Who do you think you are to be able to change history?" I wasn't seeing it as trying to change history, I was just seeing it as building bridges, which is what I do. But over the years a few things happened. First of all the evangelical community became much more prominent. The evangelical churches in America and the Pentecostal churches around the world are growing. However most Jews don't have the trust in Christians, even when Christians are doing good things for Israel and the Jewish people. Many Jews are sceptical as there is 2000 years of history of persecution. So I think over these 36 years God has blessed me, the organisation and the ministry tremendously as we built a movement of Christians and Jews all around the world. Just 5 minutes ago I had a leader from Argentina here, wanting to know how they can help the poor in Argentina better than they already are. We have 400 programs here in Israel helping the needy, the poor, the elderly, children, orphans and she wanted to know how we do it. We also have a whole teaching ministry in South Korea where we are refocusing at their request the churches curriculum on how to teach Christianity so that it successfully passes on to the next generation. Bottom line is that every country is struggling with that question of how we can transmit our values, our faith and our community to the next generation and that is something that is a lot more difficult. Our organisation has stayed away from politics for 36 years. I have known and worked with every Prime minister, every head of the army and almost every cabinet minister for 15 years but we are apolitical. We try to find the common ground between Christians and Jews and today there is so much common ground. The organisation has grown today and we have 1.6 million Christian donors, mainly in the United States but we also have an office in Canada, Korea and Brazil. In different parts of the world we address the radio, television and internet so we are able to continue to grow. In the past 20 years we have raised 1.4 billion dollars, mainly from Christians who seek to help Israel and the Jewish people. They all get the same services, so that during the winter it provides funds and blankets to the elderly who are cold and don't have money for electricity. We have a call centre and receive 100's of calls every day from all over Israel. Since Israel is an immigrant country, we have people in seven languages answering the phones, helping with all sorts of problems that people have; their electricity was cut off because they couldn't pay the bill, their water was turned off, they are being kicked out. Last week an 86 year old holocaust survivor was being kicked out of her small tiny apartment because she couldn't afford the rent and she had no place to go so we found a place for her. There are so many problems and in my opinion, the government of Israel does not do enough. Now Israel is booming as a technological start up nation, yet when it comes to the measurement of poverty in Western countries Israel is at the bottom. So it is this clash between the image of Israel that is modern and technologically innovative, yet 1 out of 3 children goes to sleep hungry at night and 1 out 4 elderly people live below the poverty level.